No time to read the paper but want to know what is going on at The Center? Read below our press releases recently sent to our area papers. Anna Maria, FL (February 16, 2018) The Board of Directors of The Center of Anna Maria Island is pleased to announce the appointment of life long islander Christopher Culhane as the organization’s new Executive Director. The search for Executive Director began this past February after Kristen Lessig resigned from the leadership role. The Board of Directors quickly formed a Hiring Committee and hired HR consultant Margaret Beck to fill the vacant position. The Committee included Center Board Members Karen Harllee, David Zaccagnino, John Munn, business owner Barbara Sato, and County Commissioner Steve Jonsson. Margaret Beck is a senior human resources professional who brought over 25 years of experience to the committee. Beck has lived in the area for over 30 years and has done recruitment for numerous organizations within the area. The Center received over 170 applicants for the position. Each resume was evaluated to see if they met the qualifications and characteristics The Center was looking for in the new Executive Director. Applicants were then narrowed down through phone interviews by Beck. Then meeting to discuss the candidates, the committee did a series of in depth face to face interviews with the finalists. After a long and thorough search the Board of Directors voted and confirmed the committee’s decision and choice to make Christopher Culhane The Center’s next Executive Director. “Thanks to the leadership from the prior Board of Directors and former Executive Director Kristen Lessig, the Center is in a great position, and is excited to seamlessly promote from within. After an extensive search and many months of committee work, Chris Culhane came out as our top choice. He has proven himself over the years and has earned the opportunity of Executive Director. Christopher Culhane has been a life long island resident and is humbled by The Boards appointment. For more information please refer to the brief introduction letter, along with several pictures of him as a child at The Center. The Center of Anna Maria Island is a nonprofit community center on Florida’s Anna Maria Island, focusing on the community and welcoming all, as the community’s gathering place. Its mission is to enhance the overall well-being of individuals of all ages—serving children, teens, families, adults and senior citizens—while preserving a sense of community through creative programs and partnerships. The Center strives for excellence to meet the human service needs of all those living on or near the barrier island. Known as the community’s gathering place, the Center is open to all. It is often seen as an “Educational Center,” “Recreational Center,” “Youth/Teen Center,” “Fitness Center” and “Senior Citizen Center.” The Center is all of these and much more. Join programs, sports, events, and learn more at www.centerami.org. The Center of Anna Maria is located at 407 Magnolia Avenue in Anna Maria. Contact The Center at 941)778-1908 or info@centerami.org. Carl Weeks with over 45 years of Non-Profit experience, was tabbed as the interim executive director of The Center of Anna Maria Island. Executive Director, Foundation for the Boys & Girls Clubs Inc. Boys & Girls Clubs of America National Professional Service Award. Anna Maria, FL (February 19, 2018) – The Center of Anna Maria Island’s strong financial health, and commitment to accountability and transparency have earned it a 4-star rating from Charity Navigator, America’s largest independent charity evaluator. This is the first time the Center has earned this top distinction. The Center’s rating and other information about charitable giving are available free of charge on www.charitynavigator.org. More-detailed information about the Center’s rating is available to Charity Navigator site visitors who become registered users, another free service. Since 2002, using objective analysis, Charity Navigator has awarded only the most fiscally responsible organizations a 4-star rating. In 2011, Charity Navigator added 17 metrics, focused on governance and ethical practices as well as measures of openness, to its ratings methodology. These Accountability and Transparency metrics, which account for 50 percent of a charity’s overall rating, reveal which charities operate in accordance with industry best practices and whether they are open with their donors and stakeholders. On June 1, 2016, Charity Navigator upgraded its methodology for rating each charity’s’ financial health with CN 2.1. These enhancements further substantiates the financial health of our four star charities. The Center’s exceptional Charity Navigator rating comes on the heels of positive financial and membership news at the close of 2017, with a $130,000 donation, record enrollment and participation that nearly doubled during the year. It also follows the award of two new grants, being named in a trust, and notified as the recipient of a donation from the sale of a local estate—all in early 2018. This follows the announcement that the Center’s executive director, Kristen Lessig, accepted a new position with the Sarasota YMCA, after successfully rehabilitating the Center to its current financially positive standing. Under Lessig’s leadership, and working in very close step with the Board, the Center paid off its $1.1 million commercial loan. Charity Navigator, www.charitynavigator.org, is the largest charity evaluator in America and its website attracts more visitors than all other charity rating groups combined. The organization helps guide intelligent giving by evaluating the Financial Health, and Accountability and Transparency of more than 8,000 charities. Charity Navigator accepts no advertising or donations from the organizations it evaluates, ensuring unbiased evaluations, nor does it charge the public for this trusted data. As a result, Charity Navigator, a 501 (c) (3) public charity itself, depends on support from individuals, corporations and foundations that believe it provides a much-needed service to America’s charitable givers. Charity Navigator, can be reached directly by telephone at (201) 818-1288, or by mail at 139 Harristown Road, Suite 101, Glen Rock, NJ, 07452. Anna Maria, FL (February 2, 2018) – The Center of Anna Maria Island executive director, Kristen Lessig, has accepted a position as Executive Director of Youth Development for the Sarasota YMCA. Lessig joined the Center December 1, 2014 and has had a significant impact during her more than three years as the Center’s executive director. She will remain executive director through February 19, 2018, and has prepared a plan to support the Center’s board and staff through the transition and beyond. After joining the Center, Lessig lead a committee of board members and staff to create a strategic plan, and managed a rebranding process to accurately reflect and communicate the center’s mission, programs and brand. She also recommitted several long-term donors to support the Center’s newly refreshed mission with the help and support of many long-time Center supporters and former leaders. Lessig lead the Center through the City of Anna Maria financial review, in addition to an external operational review. She responded to the community’s request for improved communication by appointing a staff communications manager and investing in professional advertising and promotions. Lessig also elevated the quality and level of Center staffing, and she created a team atmosphere to promote a healthy environment and workplace. During her tenure, Lessig worked with the team to restructure membership to be all-inclusive, which focused on its value. Membership activity has increased significantly, with the Center nearly doubling its participation rate between 2016 and 2017 alone. Lessig also shifted the Center’s fundraising strategy away from focusing on one major event, and instead enhanced the focus on already existing and previously smaller events, to become anchor events. This offered the community a variety of choices and ways to participate, according to what suits individual and family preferences. In order to support the Center’s technology and financial infrastructure, Lessig secured a capital grant though the Selby Foundation. She also established essential administrative systems to ensure proper IT support, tracking all program activity and daily attendance for all Center programs. Programs are a cornerstone of the Center’s value. In an effort to enhance program quality for the community, Lessig engaged field experts and established partnerships with key organizations, like the Center Stone for Family Support Programming, Ringling College Life Long Learning Academy, Anna Maria CrossFit and Island Fitness. Lessig enhanced the Center’s after-school program to focus on enrichment activities. Now known as Beyond the Classroom, the program was recently awarded a $6,500 Trolley Giving Back Grant from the Anna Maria Island Chamber of Commerce. Combined with another recent $1,000 grant from the Michael Saunders Foundation, the Center can make the Beyond the Classroom available to all community children—regardless of families’ ability to pay. Knowing the importance of good presentation, Lessig worked with the Board to improve the appearance of facilities, and create better uses for dead space to expand and enhance program offerings. 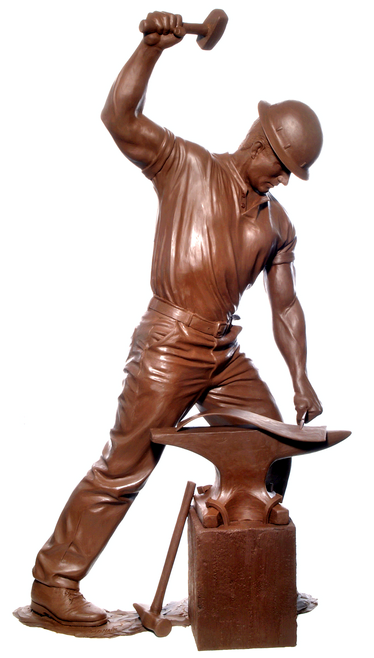 The field, tennis court and grounds were improved and repaired where necessary. Cleanliness became a priority in the building and on the property. The Center contracted landscaping and cleaning services, which replaced a full-time position and reduced costs while also improving the Center’s quality for the community. Lessig worked with the treasurer to establish a new, detailed accounting structure with support of a professional accountant, building an expansive, detailed view of revenue and expenses. To achieve complete transparency with the community, she created a Center Financials webpage that shares all financial details externally. Under Lessig’s leadership, and working in very close step with the Board, the Center paid off its $1.1 million commercial loan. Anna Maria, FL (January 31, 2018) – On the heels of positive financial and membership news—with a $130,000 donation, record enrollment and participation that nearly doubled during the year—the Center of Anna Maria Island was awarded two grants, will be named in a trust, and receive a gift from the sale of a local estate. It also secured two title sponsors for the 10th Annual Murder Mystery on February 16 and 17, and confirmed three homes for the 25th Annual Tour of Homes on March 17, which includes six stops. The Center was awarded a $1,000 grant by the Michael Saunders Foundation, as a charitable organization offering shelter, sustenance, education and a path to self-sufficiency in local counties. It also received a $6,500 Trolley Giving Back Grant from the Anna Maria Island Chamber of Commerce to support the Beyond the Classroom after-school program. Center Executive Director, Kristen Lessig, with AMI Chamber of Commerce Board Chair, David Zaccagnino, Jan. 24 at the Trolley Grant Awards Presentation. Combined support from both grants allow the Center to make the Beyond the Classroom available to all community children—regardless of families’ ability to pay. Children in the after-school program, kindergarten to fifth grade, get time and help with homework and reading, a healthy snack and 60-minutes of play. In addition, kids have opportunities for social development—learning empathy, personal space, social overtures, tone, attention span, nonverbal skills, etc. The Center has also been notified by a member that it will be named in a trust, and that the Center is the recipient of a gift. The contribution will be a percentage of the sale of a local estate. Both donations will be settled in the next few months. The Boilermaker continues his support of Center. The 10th Annual Murder Mystery is Friday, February 16 and Saturday, February 17. The evening of laughter, fun, food and murder is sponsored by Air & Energy and presented by The Boilermaker, in honor of the late Rex Hagen for his continuing support of the Center. The play, “What happens on the island…stays on the island,” has a Vegas theme, including Elvis, and guests are encouraged to dress in their “vegas best!” The play is written and directed by Beth and Bri Shaughnessy. Tickets are $45, and include a sit down dinner and the show. There will be a cash bar, live auction and raffles. Doors open at 7:00pm, and the show starts at 7:30pm. For an additional $15, guests can join the VIP Mingle with the Cast at 6:30-7:15pm. The event is for adults only. Buy tickets for Friday, February 16. Buy tickets for Saturday, February 17. Contact Kristen Lessig about sponsorship opportunities. Showing off the best in island living, this 25th edition of an annual tour of local homes, will include five homes and six stops on March 17, 10:00am to 4:00pm. Distinctive architecture, elegant interiors and stunning waterfront views will be open to the public. Three homes are confirmed, thanks to gracious homeowners: Wooley and Art Dutton, Don and Leah Purvis, and Jane and Tom Gauld. The last stop is the Center Bazaar located at the Center of Anna Maria Island (407 Magnolia Avenue). It will have boutique, original arts and crafts, and food vendors, in addition to chances to win a beautiful handmade quilt created by the Eyeland Needlers. The quilt is currently on display at the Island Library through January 31. Quilt raffle tickets are on sale for $1 each, or six for $5, and can be purchased at the Center. Tours will also be available at the Bazaar, in addition to the opportunity to enter to win a free Center membership. Tickets are $30. Contact Diane Phinney to show a home or property. Contact Kristen Lessig about sponsorship opportunities. Anna Maria, FL (January 24, 2018) – The Center of Anna Maria Island had record enrollment and participation—which about doubled in one year—and surpassed its fundraising goal by nearly $100,000, during July 1–December 31, 2017. Since the same time period one year ago (7/1/16–12/31/16), the Center almost doubled participation, from a 1,774 participation rate, to a 3,318 participation rate in 2017. Family memberships increased by 53, from 16 family memberships in 2016, to 69 family memberships in 2017. Senior memberships increased by 85, from 20 senior memberships in 2016, to 105 senior memberships in 2017. The Center surpassed its fundraising goal by nearly $100,000, raising $265,468.64 during the time period, compared to its $166,750 target for December 31, 2017. This puts the Center on track to meet its $300,000 fundraising goal for June 30, 2018. Programming income is up 18 percent, from $174,264.11 in 2016, to $206,156.42 in 2017. Direct expenses decreased 20.5 percent, from $205,292 in 2016, to $163,169 in 2017. Fixed cost/indirect expenses decreased 12%, from $205,715 in 2016, to $180,594 in 2017. In 2018, the Center’s active snowbird members increased by 103 since last year, from 71 active snowbirds on January 18, 2017, to 174 active snowbirds as of January 18, 2018. Anna Maria, FL (January 19, 2018) – The Center of Anna Maria Island received a $130,000 contribution to support its programs and services that benefit the community. The donation was made by a part-time resident who has witnessed the Center’s positive impact first-hand. 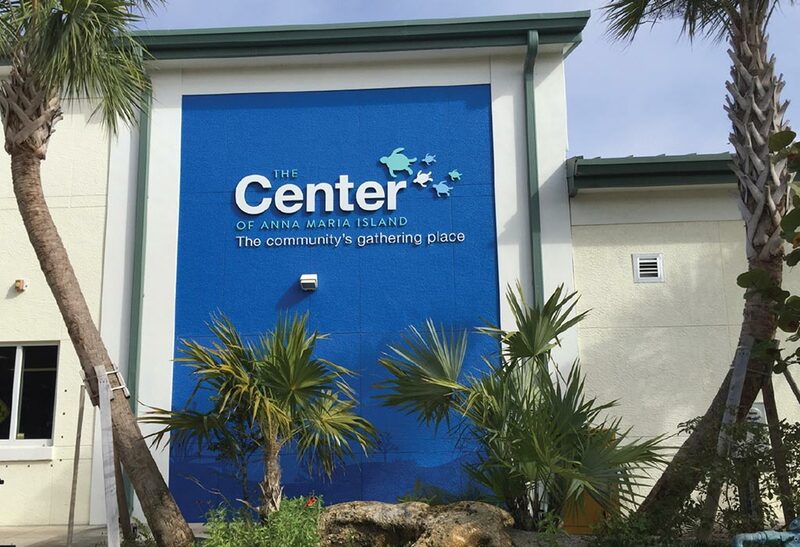 The gift is intended to support the Center’s continued efforts to preserve the sense of community and further positive impact the Center makes on Anna Maria Island. Per the donor’s request, $30,000 of the contribution will be designated to hire a development and marketing director who will join the Center’s team. The Center of Anna Maria Island, located at 407 Magnolia Avenue on Anna Maria, is GETTING FIT FOR OUR COMMUNITY!! We are excited to announce that Island Fitness will soon be joining the Center as we work to fulfill our mission to enhance the overall wellbeing of individuals of all ages while preserving a sense of community through creative programs and partnerships. Following an operational review several weeks ago and a strategic analysis of our strengths, weaknesses, opportunities, and threats- the team at the Center, including key members of the staff, board, community, and city of Anna Maria identified the need to work more collaboratively within the community, driving partnerships to be even more successful in serving as a resource for overall wellness in our community. Further, the Center is grateful for the opportunity to be able to assist a local island business. The Center and Island Fitness are currently working through the specifics of the partnership agreement, as it relates to the transition of Island Fitness members. In the meantime, we are welcome all Island Fitness members to come in and tour the facility, trial one of our amazing classes. Additional details and finalized timeline will be released to both member groups via email. Anna Maria CrossFit will still remain a key Center partner offering close to 30 hours of direct programming to benefit the Center and its membership development efforts. Additionally, Anna Maria CrossFit will be able to focus efforts on growing its active membership base with the inclusion of Cross Fit Kids programs beginning in November.